DC’s Young Animal imprint has added a new hero to their roster with the mysterious, nihilistic, and clinically depressed Eternity Girl #1. Once an overachieving student, Caroline Sharp is recruited by an agency known as Alpha 13. Her devoted service royally screws Caroline when her accidentally obtained superpowers go haywire and destroy the Alpha 13 home office. Caroline, horribly disfigured and struggling with her new abilities, is placed on indefinite leave and forced into psychiatric treatment. What do you do when you’re suspended from work, can’t maintain your human form, and can’t die no matter how hard you try? Drink. Drink a lot. Fortunately for Caroline, there must be a God, because her superhuman imperviousness left her with one crucial human component- the ability to get fucked up. I feel for Caroline, which I think is the point of this #1. Our heroine is as far from human as possible- exhibiting a strange outward appearance, supernatural abilities, and at one point turns herself into literal pure energy. Even so, there is something very relatable about Caroline. In spite of her obvious lack of humanity, at her core, she is still human. 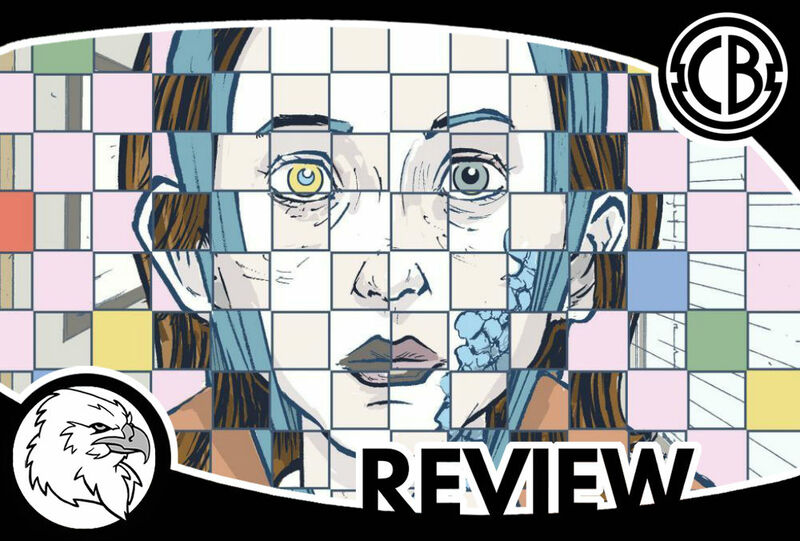 Anyone who has ever done something at a great personal cost just to have it thrown back in their face can find common ground with Eternity Girl. She’s a cog in the corporate machine and an outsider in her own skin- all of which makes her academic and athletic accomplishments feel like nothing. It’s the reality check of the twenty-somethings (Even though Caroline is 35). What happens when you did everything right, aced every test, took every extracurricular, and still lose? It looks like this is the question Eternity Girl will answer. I can’t believe I’m saying this, but hopefully, drinking is not that answer. If it is, a lot of us are screwed. I genuinely enjoyed reading Eternity Girl. It’s a title I know I’ll continue to pick up and watch develop. I’ve talked about my love for the Young Animal titles at length, and I am still so proud to see an imprint of the Big Two taking these kinds of risks and allowing writers to get experimental if not downright weird (Did you read Milk Wars? Read Milk Wars. There was this whole thing with Wonder Woman breastfeeding a Dustbuster and I am still not okay). These books are fun in a way that DC comics just haven’t been as of late. There’s still darkness, questions of morality, and a good versus evil fight, but Young Animals takes the grey areas in between and runs with them. The whole line feels like a Salvador Dali painting in the BEST way. I’m not in any way disparaging Rebirth, but I’ve missed regular DC titles with the complex oddity of Shade the Changing Man or Sandman. Vertigo is doing a lovely job, but Young Animals has a vibe all it’s own, and I couldn’t be more excited to see what else they’ll do with it. I’d advise any comic fan to try out a Young Animal book and see if it’s your kind of vibe. It’s the best comic based decision I’ve made in a long time.